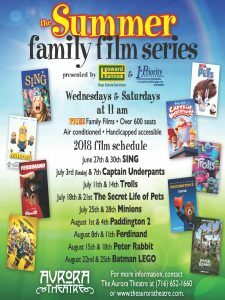 Each summer, through the generous support of our local sponsors, The Aurora Theatre offers Western New Yorkers a FREE film series for families. 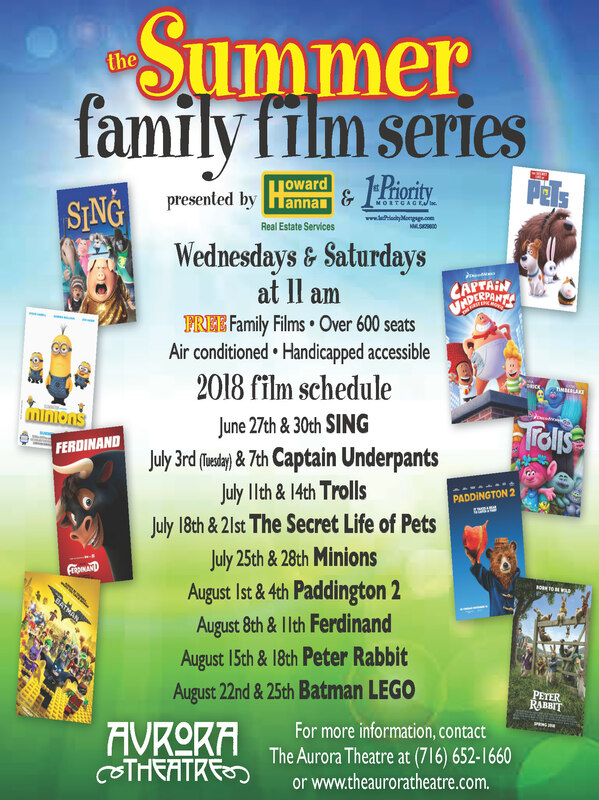 Every Wednesday and Saturday mornings throughout the summer, The Aurora Theatre shows popular and classic films perfect for some family fun. The series has become a popular destination for parents, grandparents, families, area youth programs (recreation departments, Boys and Girls Clubs and summer camps) and special needs groups from the surrounding communities.